"Ossan's Love" (おっさんずラブ) is one of TV Asahi's drama series. The catch copy of this series is: "One day, the head of the department confessed to me." 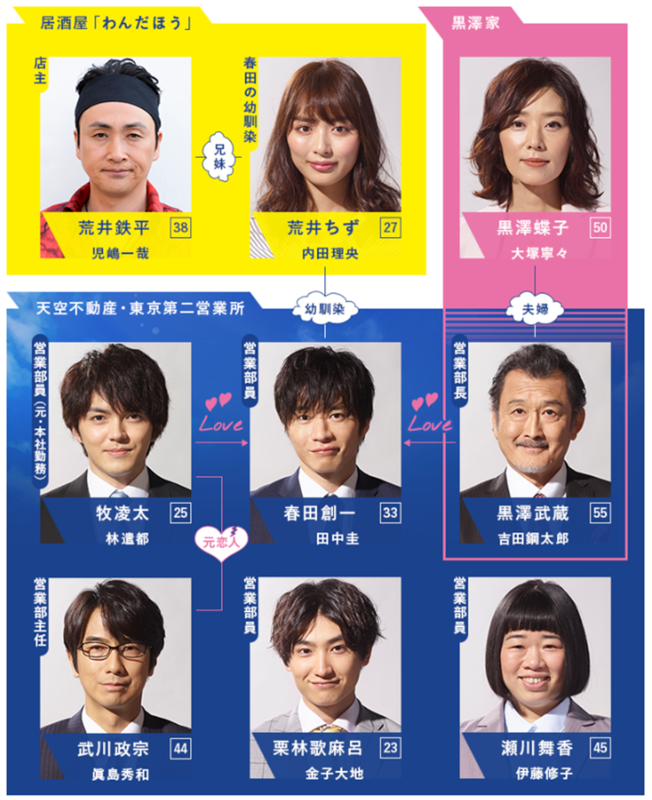 The summary of "Ossan's Love"
Based on a one-episode drama aired at midnight in 2016, "Ossan's Love" returns as a drama series with a deeper and improved plot. The series premiered in April 2018 on TV Asahi and is currently airing. The protagonist Haruta Shoichi is a 33-year-old man who, despite his love for women, is not popular among women. Shoichi's pure love-comedy story begins he gets confessed by two men: his superior, an old man named Kurosawa Musashi who is really an innocent maiden at heart, and his younger coworker, a dreamboat named Maki Ryota who shares a house with him. ▲ A correlation chart of the characters。Now that the series has reached its 4th episode, the relationships between the characters are growing complicated. Immediately after the 1st episode was aired, people on social media began raving about the maiden-like personality that the drama series' heroine(?) Kurosawa Musashi shows in front of Haruta. 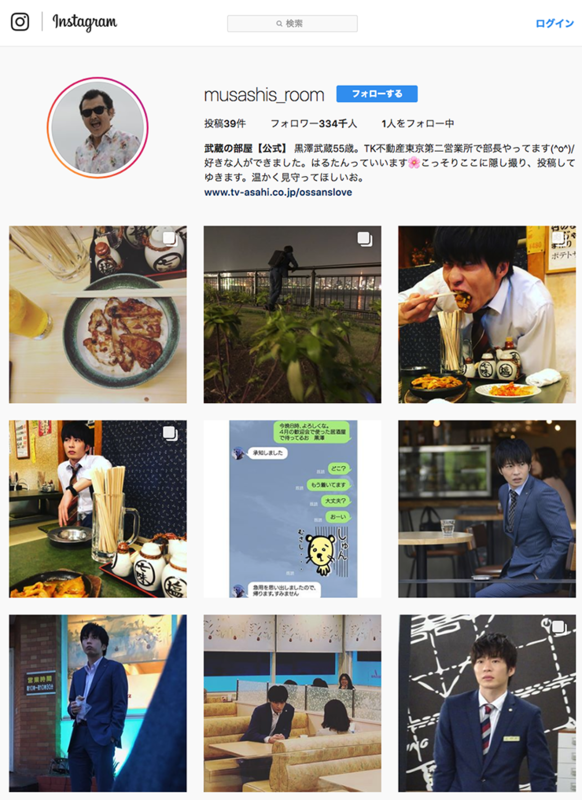 One of the drama series' official Instagram accounts is named "Musashi's Room" and it belongs to Kurosawa Musashi. Uploaded on that account are many secret photos of Musashi's heartthrob Haruta (or Harutan as Musashi likes to call him), accompanied with hashtags that blatantly reflect Musashi's maiden mind. As of May 14, the account has gained more than 300,000 followers. ▲ The official Instagram account "Musashi's Room". The fact that the account is linked to the story of the drama is another one of its appeals. 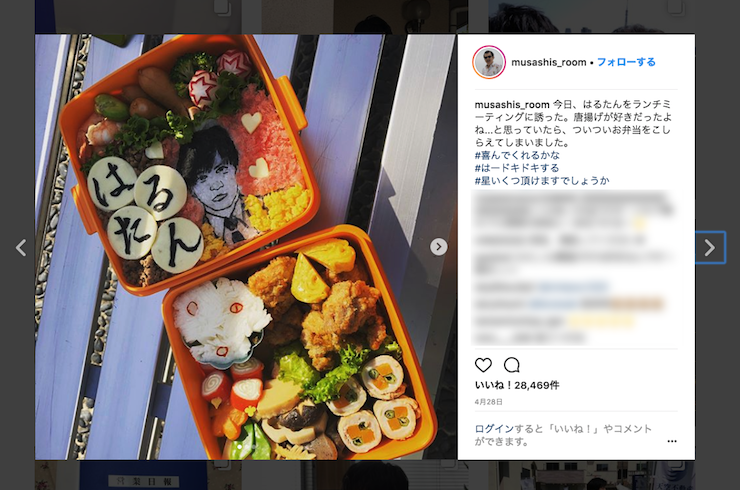 As the plot of the drama advances, social media users are seen reacting to, supporting, and talking about the drama series in ways that defy gender stereotypes. 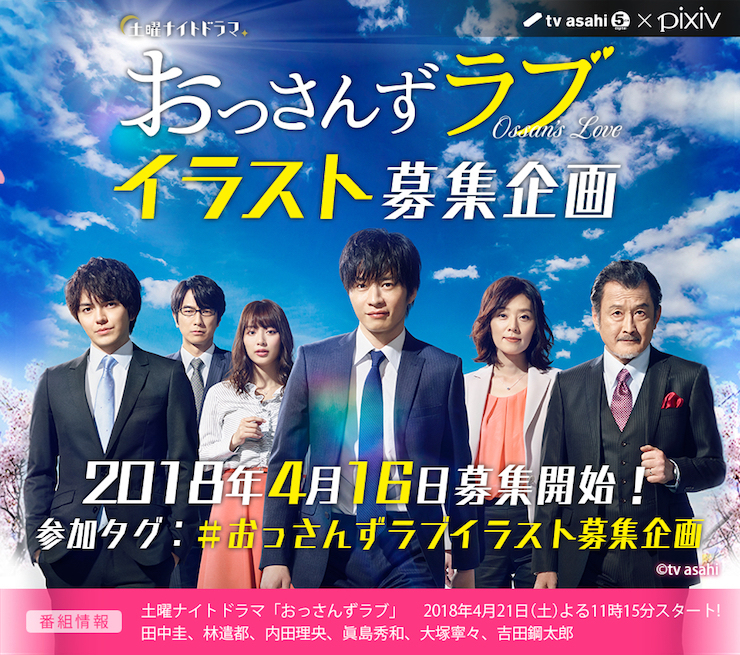 This drama series has managed to enter the top 10 list of "Most Popular Keywords among Women" in pixiv and climbed to the second spot on May 14. ▲ "Most Popular Keywords among Women" on pixiv's Idea page (as of May 14, 2018). When pixiv's illustration contest was announced at the end of the drama's 3rd and 4th episodes through terrestrial broadcasting, pixiv users were really shocked. Draw an illustration with the theme of "Ossan's Love", tag it, and upload it on pixiv. ・Number of illustrations: You may post more than 1 illustration (however, you cannot post the same illustration multiple times). * Please thoroughly read the details of this contest on how to apply. We are looking forward to your entries. "This spring, the old men's pure love will paint your heart in a tint of pink, like a flurry of cherry blossoms"--as we recall the words on the drama series' official website, we look forward to how the old men's springlike tale will unfold.